The Trump national security plan to build a wall on the border with Mexico is facing a major problem: The Republican lawmakers who are wallowing in the Democratic Party’s Washington, D.C. swamp will likely vote against allocating border security money. One would think that building a border wall or barrier would be an easy chore for the United States government. Well, think again. A disturbing number of congressional Republicans are questioning the cost of Trump’s Wall proposal that was an obviously popular proposal during his campaign. Some lawmakers are out-front about opposing the immigration control plan, but others talk tough but are secretly working against Trump. GOP lawmakers across the ideological spectrum are telling reporters that Trump could have a very difficult time to get his plan approved by Congress. Of course, the anti-Trump news media fails to report the truth: That during the Bush administration, the President signed a new law in 2006 that set aside money for a border security plan that included a wall/fence, physical security gadgets and an increase in the number of Border Patrol officers. A disturbing number of Senators and House members bluntly told CNN they’d likely vote against any Trump plan that is not fully offset with spending cuts, while others questioned whether Trump’s vision would adequately resolve the problems at the border. 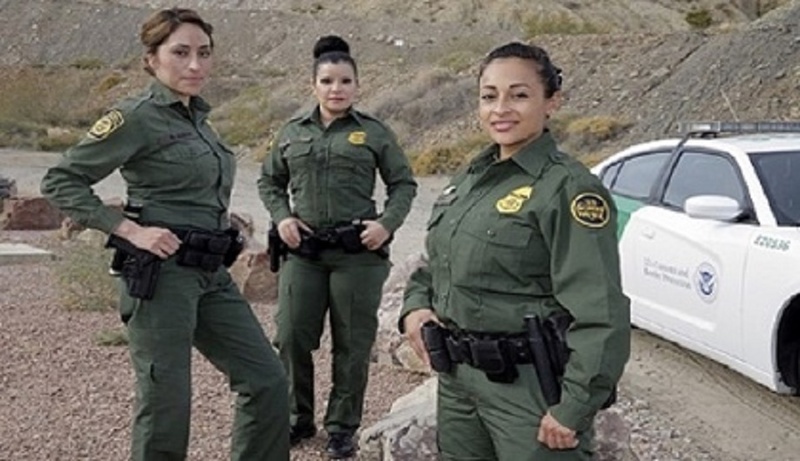 But the truth – noticeably avoided by the media – is that the U.S. Congress passed a bill and it was signed into law by President George W. Bush in 2006 ordering a wall to be built at the U.S.-Mexican border with more Border Patrol agents hired patrol the Southern border. After years of debates, congressional votes, government studies and political posturing by lawmakers, the so- called “virtual fence” continues to cause more problems than it solves, according to testimony at a session of the House Homeland Security Committee. 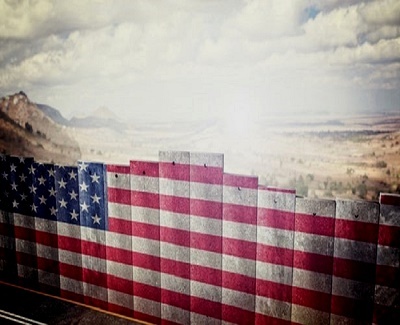 In a compromise that met with disappointment by those who advocate tighter border security, instead of walls or chain link fencing, the U.S. Border Patrol and Homeland Security Department created the concept of virtual fence security that included surveillance cameras, motion or heat sensing detectors, radar, and supposed state-of-the- art control towers designed to detect and prevent illegal immigration and drug smuggling into the United States. 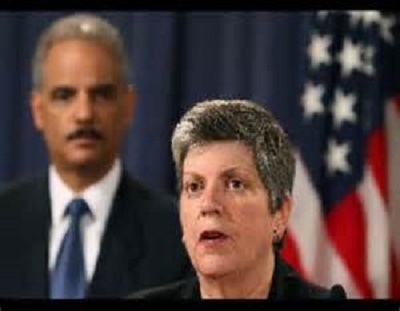 With Janet Napolitano in charge of Homeland Security and Eric Holder in charge of the Justice Department, the United States became less safe with Napolitano’s ineptness and Holder’s lawlessness. According to a report obtained by the National Association of Chiefs of Police, the security contractor – Boeing Co. – was installing the hi-tech physical security system. The original plan called for a completion date by December 2009 at a cost of $1.1 billion for a virtual fence. According to the report obtained by NACOP, Boeing requested that completion date to be amended by seven years. The initiative to erect barriers – both electronic and physical – along the U.S. Mexico border has been plagued with a multitude of problems since it was implemented under the George W. Bush Administration. After funding issues got largely settled, some border mayors in Texas blocked the feds from conducting fence work on city property, a large Indian tribe (Tohono O’odham) in Arizona refused to allow a fence to be erected along a vulnerable stretch of border and the so-called virtual fence project has been delayed several times. These GOP traitors need to be exposed and removed from ofc. McStain, Flake, Grijalva, etc. are all globalist puppets that are pushing for a One World Govt. We should also have troops with guard dogs. Foreign aid should have ended after The Marshall Plan in 1955. We’ve been guarding S. Korea’s border for 65 years now. Minefields, dogs, sensors, lighting etc and only 2-4 people sneak through each year. how about a go fund me account, we raise the money and build the wall? When President Trump was laying out all of the improvements that he wanted to do for the country in his speeches I had a feeling it was going to be almost impossible to get these crooked politicians to cooperate. This bunch from both houses the Dems along with the republicans don’t want to piss off any of their high roller donors if they give Trump any help at all. He’s done as much as he can up to this point what he needs to do is concentrate on tax reform so the taxpayers an businesses can take advantage of it this year. He also needs to take a hard look at using the drug money that has been kept after some of the drug dealers have been arrested that would actually pay for the wall from what I understand. So, who are the GOP Lawmakers quoted in that headline? McCain, Flake, Graham, and others.